Headlights become very hot during use; do not touch them or any attaching hardware immediately after they have been turned off. The driver or someone who weighs the same should sit in the driver's seat (or use an equivalent weight). 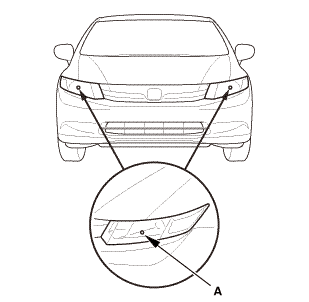 Clean the outer lens so that you can see the center (A) of the headlights. Turn the low beams ON. 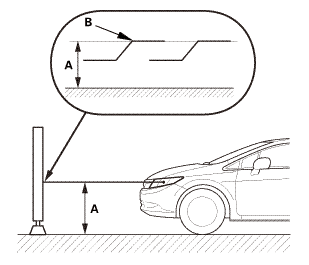 Determine if the headlights are aimed properly. 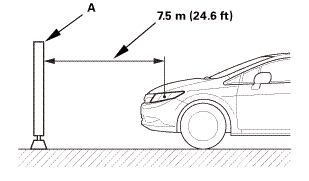 Measure the height of the headlights (A). 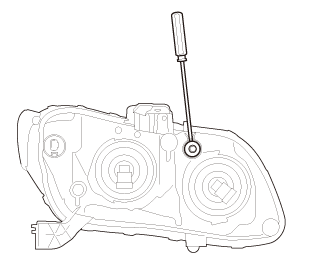 Adjust the upper edge of the cut line (B) to the headlight's height. 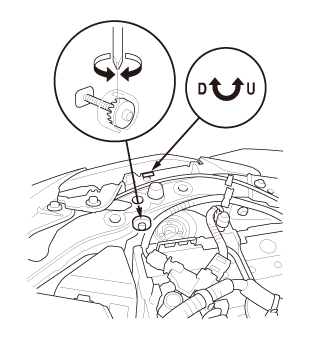 If necessary, open the hood and adjust the headlights to local requirements by turning the adjuster.